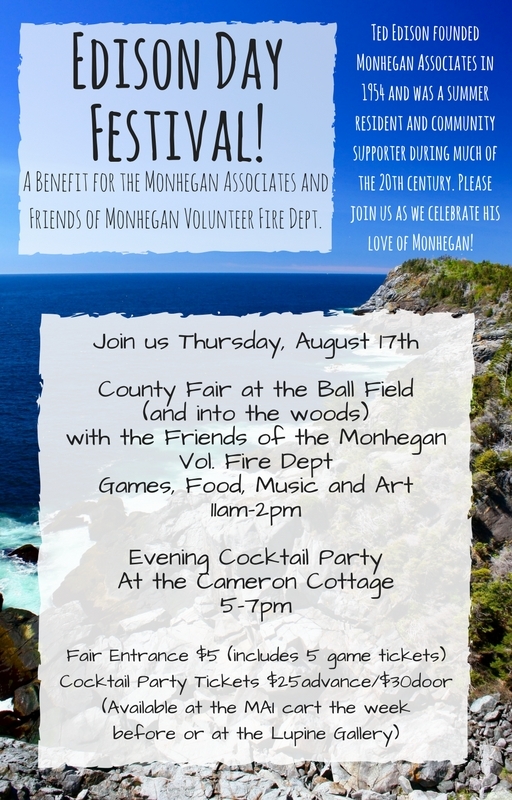 Save the Date: Edison Day Festival August 17th – Monhegan Associates, Inc.
Join us August 17th for an afternoon of kid-friendly fun at the Ball Field followed by an evening of elegance at the Cameron Cottage. See you there! ← 2018 Calendars are here!